Charge up for day-to-day drives on battery power alone, or tap into the gas-powered engine for longer trips, so you can keep going. 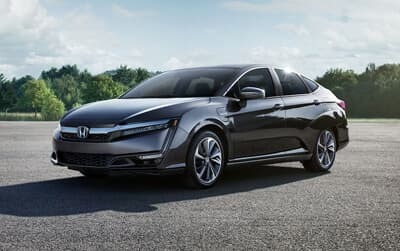 Experience efficiency and comfort in the 2019 Clarity Plug-In Hybrid, with spacious seating for five and a 340-mile combined range rating. 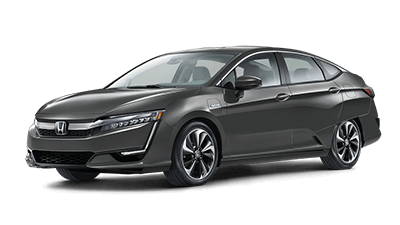 Experience pure driving enjoyment with the combination of an electric motor and VTEC® engine for 212 total system horsepower. 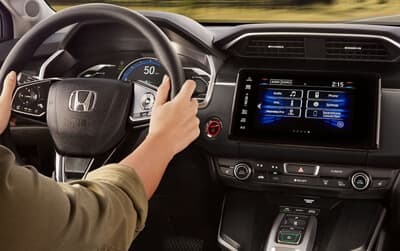 The 2019 Clarity Plug-In Hybrid is loaded with intuitive technology, safety and driver-assistance features that make it easy for you to focus on the drive. 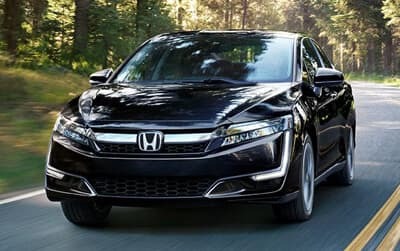 The front end of the 2019 Clarity Plug-In Hybrid is designed with a clean, smooth aesthetic that helps it achieve superior aerodynamics and efficiency. 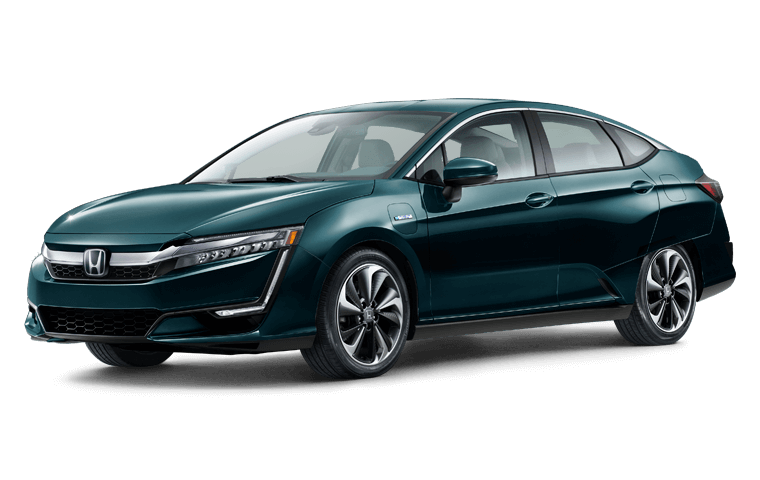 From its long wheelbase to a distinctive wide stance, the 2019 Clarity Plug-In Hybrid has been engineered for a smooth, spacious ride. 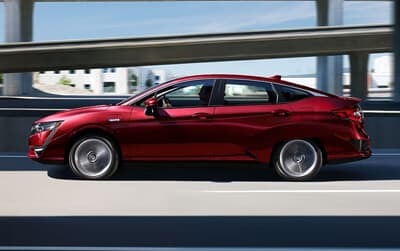 With its sleek, aerodynamic shape and decklid spoiler, the 2019 Clarity Plug-In Hybrid creates a solid presence on the road. 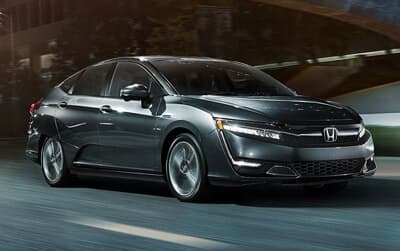 Angular, five-spoke 18-inch wheels add a distinct touch to the refined design of the 2019 Clarity Plug-In Hybrid. The Chrome Door Trim is a stylish accent that gives your 2019 Clarity Plug-In Hybrid a finishing touch. Experience an interior with available leather-trimmed details, as well as plant-derived bio-fabrics and Ultrasuede® created through recycling technology. 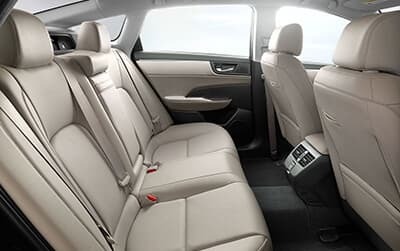 You’ll find comfortable room for five adults inside the spacious, premium interior of the 2019 Clarity Plug-In Hybrid. The cabin boasts available leather-trimmed seats and plant-derived bio-fabrics for an interior that doesn’t compromise craftsmanship. In addition to two-position memory, the available power-adjustable driver’s seat provides eight ways to adjust with pinpoint accuracy. 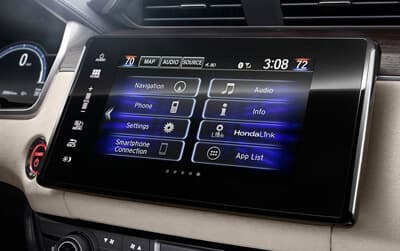 Control your comfort independently with dual-zone automatic climate control, heated front seats and HondaLink® Remote Climate Pre-Conditioning. Identify your battery-charging status, range and energy flow with the distinctive full digital Driver Information Interface. The innovative Shift-By-Wire creates a more spacious console, giving you the freedom to go from Park to Drive at the push of a button. 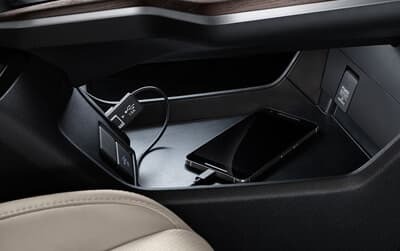 Push Button Start allows you to leave the keys in your pocket and start your 2019 Clarity Plug-In Hybrid with a simple touch. The available automatic-dimming rearview mirror adjusts to soften the reflection of headlights behind you so you can focus on what matters most—the road. Make and answer phone calls, control music or get directions—all within reach through the steering wheel-mounted controls. 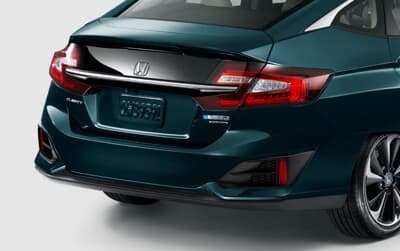 With 15.5 cubic feet of cargo area, the 2019 Clarity Plug-In Hybrid has a larger trunk than many of its competitors and has room for all kinds of gear. The roomy rear seat and 60/40 split fold-down rear seatback offers the versatility to accommodate both the expected and unexpected demands of every day. 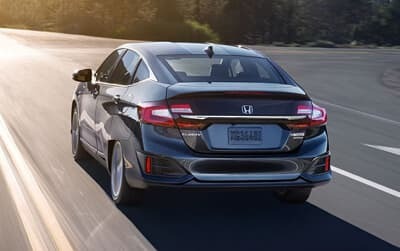 Dress up the 2019 Clarity Plug-In Hybrid interior and help protect the lower door sill from scuff marks with the Illuminated Door Sill Trim. 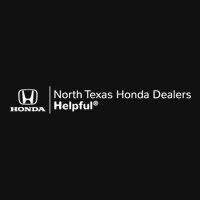 Every 2019 Clarity Plug-In Hybrid comes equipped with Honda Sensing®, an intelligent suite of safety and driver-assistive technologies designed to assist and help protect you and your passengers. A small camera can see road markers, alerts you if you’re about to leave the road and can take action to help keep you from doing so. Sometimes, you want to drive an electric car. Sometimes, you need more flexibility. 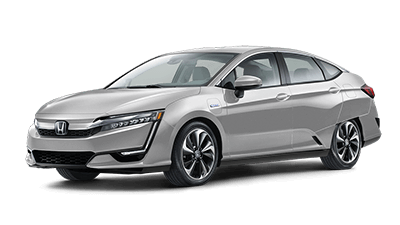 That’s why Honda created the 2019 Clarity Plug-In Hybrid. 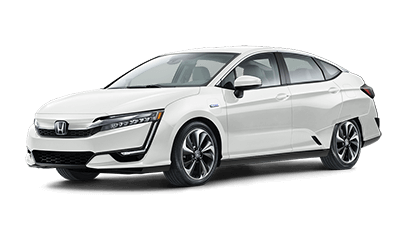 Charge up and drive on electricity, or tap into its engine for unexpected turns—all while spending less time at the pump. Few hybrid vehicles provide the comfort or space you’ve come to expect from midsize sedans. 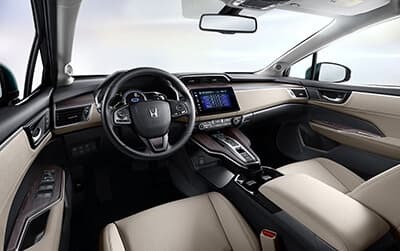 The Clarity Plug-In Hybrid stands out as the exception with more than enough room for five adults, smartphone pockets behind each front seat for phones of all shapes and sizes, and a generous 15.5 cubic feet of trunk space. 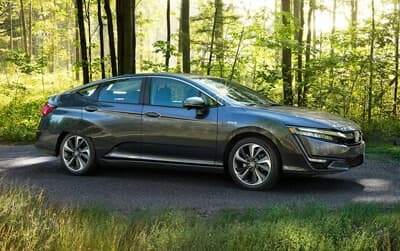 Honda is committed to developing more environmentally responsible hybrids and alternative fuel vehicles, with the 2019 Clarity Plug-In Hybrid leading the way.